Testimonials - Agenzia immobiliare a Cefalonia Mantas real estate. "Mantas Real Estate made our dream of buying a property in Kefalonia a very enjoyable experience. 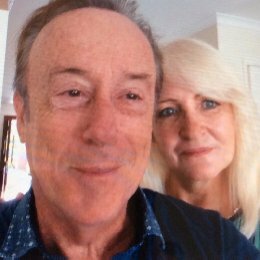 From the first email we sent from the UK, to meeting Tony Edgley from Mantas to view our perfect property - Tony knew exactly what we were looking for before even meeting us. Everything was taken care of - meeting your Greek solicitor, opening your Greek bank account and even sorting out the utilities. Nothing was too much trouble. Everyone at Mantas were friendly, helpful and professional. We would highly recommend them to anyone who is considering buying a property. Thank you Mantas for your excellent service, we couldn't be happier. "We wanted to thank you for the superior level customer care we experienced during our house purchase. Actually we looked at your website for months before we contacted you. As a web designer I am impressed with the excellent way properties are featured. On our last trip we met with a number of agencies but none achieved your level of attention to detail or found the property that literally ticked all our boxes, as you did! Then it doesn't stop there, you then found and arranged a team to redecorate our house and attend to other details for us and much more after our return to the UK, so work could be completed for our next trip. Outstanding, friendly and professional. Vagelis and Tony you have made finding our little piece of Kefalonian heaven a dream come true. The process was made very easy. We were Introduced to a solicitor and then taking us to sort out notoriety. Nothing was too much trouble. We will be having work done on the place with the help of Mantas who are over seeing it all. 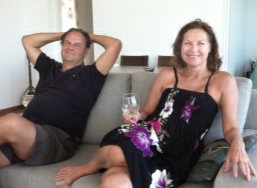 We would like to thank Tony for showing us the villa over several days, nothing was too much trouble for him. He was honest and helpful. 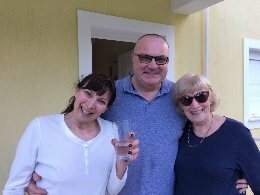 Being back home buying in Kefalonia my husband and I became quite stressed but with help and support from Vagelis and his team things moved along very smoothly to a final and happy conclusion..
"Makis at Mantas, thank you for all your hard work in selling my 20year home Aurelia. The efficiency and trust made the sale of my house go without a hitch. The staff at Mantas are professional and helpful. I would recommend Mantas to anyone who’s wishing to sell, buy or rent in the future. Their property is now under renovation from our team and will be delivered very soon! 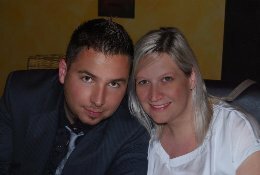 "The first time we visited Kefalonia was the summer of 2006, we loved it so much that we kept going back every summer. The unspoiled views of the island and the smell of olive trees and herbs are intoxitating and the sunsets over the mountains the see are breathtaking. We always dreamed of the possibility of owning a holiday home in the island and as fate would have it one of our greek friends in the island recommended the Mantas to us to start the process. Initially we were only looking at the property listings on their website until we found a few properties and asked for a viewing. In April 2018 we paid a short visit to Kefalonia and we found a renovation property in south west of the island and put an offer which was accepted. Vagelis helped us obtain a power of attorney so they could process the sale on our behalf, this is one thing that every buyer should consider as the solicitiors know exactly what needs to be done. Unforturnately for us, we had a lot of issues with the sellers and the process was a bit stressful than we had anticipated. But we had the full support of Vagelis and our solicitor who kept us going and encouraged us not to give up. We finally completed the sale in early July and we are so excited about the prospect of having a piece of this little paradise all to ourself. We are soon travelling to Kefalonia to collect our keys and start talking to Mantas about the renovation work. It is going to be long journey but we know that in a couple of years time we will enjoy every minute of our time in our holiday home in Kefalonia. And who knows we may even retire there. Thank you Vagelis for your help and support. We look forward to working with you in building our new home."" "Since 2004 I owned a property in the stunning village of Atsoupades. We recently used mantas real estate to sell, they made the process of selling a dream. I was extremely happy with the friendly atmosphere, the efficiency and communication from the staff. I’d highly advise anyone looking to buy or sell to use mantas real estate, I had nothing but a positive and friendly experience. Thank you for all your help, we do still plan to visit kefalonia for our holidays and will assure renting with you. "We contacted Mantas Real Estate initially when we saw a property on Mantas website that we were interested in. While the process of homebuying was much more difficult than we’d imagined, Vagelis gave us excellent guidance, unflagging availability, and deep knowledge about Kefalonia’s real estate. Vagelis Mantas was knowledgeable, approachable, personable, endlessly patient, and incredibly generous with his time (including mornings, evenings, and weekends over the course of several months). He answered every question and explained every form and every part of the process clearly and thoroughly. All the team at Mantas Real Estate were friendly, approachable and knowledgeable. We highly recommend them. We hope we’re in our new home for a long time, but if we were to move, we wouldn’t hesitate to work with Mantas Real Estate again or give them anything but the highest recommendation. 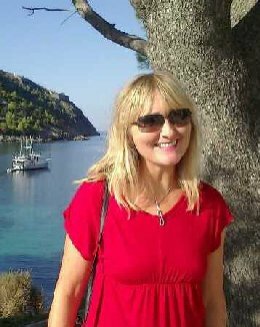 "For the last ten years my husband and I have been visiting the beautiful Island of Kefalonia and have dreamed of moving and retiring here one day, as we just fell in love with it so much. We would walk past mantas window looking at the different places for sale, always thinking “one day”. Well after a while we decide to just do it, life is far too short. 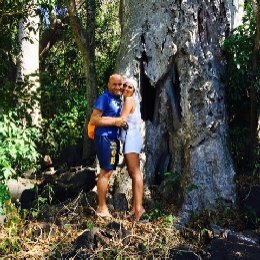 We then booked a long weekend to view as many properties as we could and this is where we met Tony and the Mantas Brothers Vagelis and Makis. I have to say hand on heart everyone at mantas has been outstanding. Vagelis and Makis has helped us out so much every step of the way, I know we will never be able to thank them enough for the help and support they have given us over the last few months since we arrived on the island. We were treated as if you were one of the family not just a customer and you know that no matter what may happen they will be there for you, going out the way ensuring they are doing everything possible to help you and you know you would never get this from any other company. Because you are not just moving house you are buying a house in a completely different country where things are done completely differently but also, we don’t speak Greek (we will be having Greek lessons) and Makis would take and show us where we needed to go and helping out with translating but most of all making the whole experience so easy. So again, thank you so much for helping us to buy out dream home. " Keith and Rachel bought their place in the Sun. "From the beginning to the end of the buying process Vagelis and the team at Mantas have been excellent. Obviously buying a home in a foreign country can feel quite daunting but they made it incredibly easy and straight forward. They were able to introduce us to a reputable lawyer who then dealt with all our financial and legal requirements like setting up a Greek bank account and conducting the relevant property searches. While we were back in the UK they kept us well informed about the sale and when everything had been agreed they also undertook a fantastic renovation of the bathroom in our small cottage. They are professional, helpful and friendly and we would definitely recommend them to anyone looking to buy a property in Kefalonia. 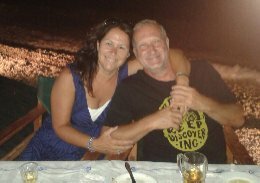 "With the help of Vagelis and Tony we are living the dream on the beautiful Island of Kefalonia. After holidaying here for many years it was our goal to make it our home in our retirement. We found a lovely Villa in the village of Makriotika. Once the offer was accepted Vagelis & Tony were brilliant. They led us through the purchase and aftercare, nothing was too much trouble. 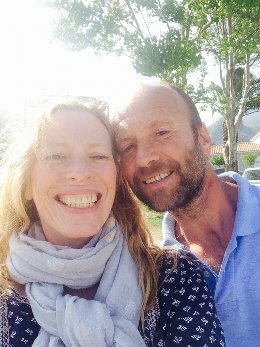 It was a pleasure to deal with them, they were very approachable and professional which made things a lot easier, making sure we were kept informed every step of the process, they also introduced us to a Solicitor who was so helpful and delightful to work with and she gave us some excellent advice. Vagelis and Poppy the solicitor dealt with the whole aspect of the sale whilst we were still in England. When we arrived at our new home Vagelis was there to greet us with the keys, he had organized for the villa to be checked out, boiler up and running and maintenance issues sorted, and in the following weeks he was a great help in settling us in and assisting with advice recommending contractors and services, which was a great help and much appreciated. We would not hesitate to recommend Mantas Agency and we would like to thank them all for the help and kindness shown to us." A new fully renovated home just delivered to our clients from Australia!! "Vagelis and his team were simply fantastic at creating the home of our dreams. It all started with a simple old style Greek house on a hillside with wonderful views. The sale of the house was made very simple and painless. Then came the renovation. We wanted to create a completely new space, knocking out most interior walls and creating a new floor plan. Well they were very prompt at getting started and sent us photos of the demolition. They were very good at knocking things down and we could see the potential of the space. We hoped that they would be as good at renovation as the were with destruction and they were fantastic. The space just got better and better until the photos stopped. Vagelis wanted some surprises left for the final, reveal.... big mistake.... Just kidding... it surpassed our expectations and we are completely thrilled with our new Greek home. We cannot thank you all enough for the wonderful painless process and end result polly polly kala." "Following the sale of our property in Mavarata we would like to mention the outstanding level of service given to us by the whole team at Mantas property services especially Makis & Vagelis they made the whole experience of selling our property effortless. Thank you once again, Alison & Neil"
Planning now to build their dream home. "We stumbled upon the property we purchased in Agonas, Kefalonia purely by accident in June 2016. We had been looking for a small property for a few years whilst coming back and forward on holiday to Kef when we saw the Mantas real estate sign outside the property we finally bought. We headed straight into Argostoli to get further details of the property, and to arrange a proper viewing. Our experience of the Mantas team (we like to call them Mantas boys) was nothing but a real pleasure. They have always been so professional, courteous, and well-informed. Tony, came with us on our first official viewing and we fell in love with the property we hope to make our home. Every step of the way Mantas have been there guiding and helping us through the transaction, including arranging an electrician in our absence, and providing proposals for building advice, which we are grateful and happy to take on board. Since the initial viewing, we have been back to Kef twice, the first of which was to pick up the keys in September 2016. 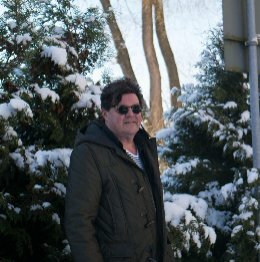 We now have proposals to extend and build on the property and land all with the help and professionalism of the Mantas boys, and sincerely believe that we have made some great friends with them and highly recommend, if you are serious about a future purchase on Kef, that you give these guys a go at helping you through the process. We hope to move later in 2017 to our new home permanently with the continued assistance of these guys. Thank you Vagelis, Makis and Tony for all that you have done in helping our dreams come true with a new life on Kef. " 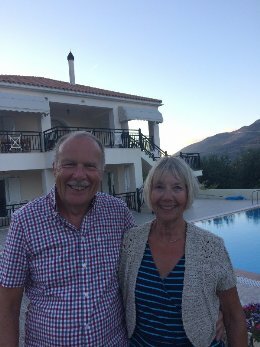 "We visited Kefalonia at the beginning of April 2016 for a week’s holiday with no intention of buying a property. On the second day of our stay we went for a walk near to the villa where we were staying and found a lovely old traditional cottage with a Mantas Real Estate sign outside. We arranged a viewing the following day and made an offer which was accepted. Both Makis, Tony and the team at Mantas Real Estate made the buying process really easy from the initial viewing right through to completion of the purchase just over a month after we returned home. We both look forward to picking up the keys to our new home and keeping in touch with the team at Mantas Real Estate. 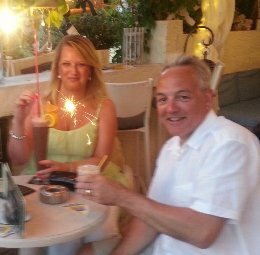 "We moved over permanently from the UK to Karavados on Kefalonia in May 2016. Our villa already had an infinity swimming pool which had been painted but it had not been in use for 5 years and was in a poor state of repair. We contacted a couple of builders on the island, one of which was Vagelis Mantas from Mantas Properties whom we had got to know during 2015 when we had purchased another property on the island and were impressed by his professional, honest and friendly approach and his helpfulness in getting us through the somewhat confusing bureaucracy when purchasing a property in Greece. Both builders sent in quotes but we chose the Mantas quote because of our previous good experience with Vagelis where we had always found him to be honest and upfront with us, whereas we felt that the other builders quote was somewhat vague as to what was included and what was not. Vagelis sent us a photograph of a villa with an infinity pool and suggested to us to tile the sides and bottom with pale blue tiles and tile the infinity wall with complimentary mosaic tiles in various shades of blue with white. He also suggested that his builders curve the top of the infinity wall so that it was aesthetically pleasing to the eye. He advised that it was necessary to re-render the walls and floor with the necessary waterproof coatings to ensure that it was water tight before the tiles were laid. However he ensured that the lighting, pump and filter equipment were overhauled or serviced where possible and parts only replaced if absolutely necessary. Work was started within one week of us accepting his quote which impressed us. At all stages of the work Vagelis either telephoned or visited us personally to check on the progress and see that we were happy. He project managed the various builders, tilers, electricians and plumber very professionally and it made us feel that everyone was in control without us having to worry about it. We have ended up with a spectacular infinity swimming pool which has surpassed our expectations with lighting, filters and pumps all working correctly. Not one day goes past when we take a swim in the pool and enjoy the panoramic views of the sea, mountains and pastures over the infinity curved edge. We would have no hesitation whatsoever to use Vagelis Mantas again in the future or to recommend him to family, friends or anyone who asked us if we know a good builder on the island. We are 100% satisfied with the standard of the work and the standard of the project management. 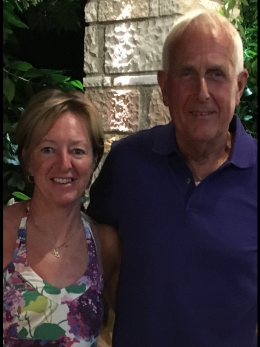 Nigel and Lynn Dack The Anchorage Karavados Kefalonia June 2016 "
"Having arrived to what we class as "Our second home", located in the village of Old Skala, we arrived to find our newly renovated Villa in the traditional "Santorini" colour scheme, in summary "beautiful", in August 2015 we instructed Mantas real estate working closely with Vagelis and Tony outlining our plans and budgets for the renovation along with their ideas and designs we work in harmony, from quotation stage to completion we received regular updates and photographs of the project and would highly recommend the team at Mantas Real Estate with any refurbishments or builds, we indeed are starting phase 2 of our plans to the grounds of the property starting October 2016. Pleasure to do business with and takes the worry out of the refurbishment as the project management was seamless, with living in the UK the communications between ourselves and Mantas was excellent both during and after the project was completed and offers a true "peace of mind service". We have agreed for photographs of the completed works to be put on their website to show the high quality workmanship completed. "We couldn't have asked for more from all those who work at Mantas, right from their swift response to our initial contact, making arrangements for our viewings right through to final completion & beyond. We still can't believe how smoothly the whole process was, but it is because of this truly dedicated team who hold your hands throughout the whole process making everything appear so very easy and as stress free as possible. We wish to personally thank you all; Tony, Makis & Vagelis who have enabled us to achieve this, which certainly wouldn't have been a reality for us without your continued help, support and guidance. You made us feel so completely at ease and are a true testament that "no ideas are too wild and no dreams are too big!" "Thank you all once again for allowing us the reality of living out our wildest dreams!"" 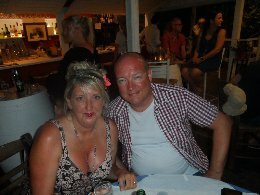 Edwards are now planning their permanent move to Kefalonia after having purchased a lovely home..
"Staff at Mantas were great. Brothers Makis and Vagelis were top class. Tony was also a good source of help and information.I would not think twice about using them in the future for further work to the building.. Our questions were always dealt with and the buying process explained from start to finish and we felt assured that we were in good hands. Vagelis helped us to open a bank account, he accompanied us to the tax office and electric office, he was always there to guide us through various things. Communication was excellent from start to finish.I can not praise them enough.Very friendly and approachable which is important when you have so many questions. "Since 2005 we have been harbouring a dream of one day purchasing a little piece of Kefalonia for ourselves and finally in 2014, we began that search in earnest. During that search we discovered Mantas Real Estate and met Vagelis Mantas and his colleague Tony and viewed plots/properties and found them to be extremely friendly, helpful and above all, informative. For personal reasons our property search was unsuccessful that year but nevertheless we kept in touch throughout the winter by viewing their website regularly. 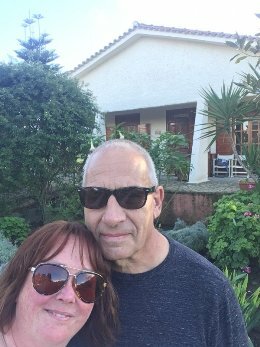 As it happened, only a short time before we were due to fly out to the island on the first UK flight of the 2015 season, Mantas marketed a fully renovated bungalow in Kountourata and, being keen to see it, Vagelis and Tony met us on our first day for the viewing. Their welcome back to the island made it very much like meeting friends! Having decided this was the property for us we met with Vagelis and his brother and busness partner, Makis, and they advised us of all the buying procedures and answered all of the questions we had. When our offer was accepted they were so genuine in sharing our joy. All too soon we had to return to the UK and the purchasing process then began. We chose to utilise a UK currency company recommended by Makis, although there was no obligation to do so, and we found them to be first class in their advice and service to us throughout. Makis also arranged a civil engineer survey of the property for us. It is no secret that Greece has recently been through some of it's toughest financial times and this did have an affect on our transaction but Makis kept in touch with us throughout, advising us of what was happening, liaising with our solicitor and always reassuring us that we would reach a successful completion - which we did! Buying a property abroad when you are UK based can be daunting but the service we have received from Mantas Real Estate has really been above and beyond our expectations and we would not hesitate in recommending prospective purchasers to view their excellent website and begin the journey to your dream! " ""As we live in Australia, the idea of buying and rennovating a house on our beloved Cephalonia was a daunting one. We had the good fortune to make contact with Mantas Real Estate which guided and helped us through the steps of obtaining a lawyer, a Greek tax number, a Greek bank account and in 2014 completion of the purchase of the property in Plagia we had selected from their list. Mantas then managed the rennovation of the property to our great satisfaction. We dealt mainly with Vagelis and Tony and they looked after our interests at every turn with great patience and good humour. I would recommend Mantas Real Estate to anyone thinking of buying and rennovating in Cephalonia. We had the peace of mind in knowing that we were dealing with highly professional and honest people. It is now very hard to leave our rennovated home we are so pleased with it, even for a G & T at Agia Efimia to watch the yachts moor or for a swim at Myrtos!" "I have recently purchased a property in Kefalonia through Mantas Estate Agents. The service I received from start to finish was excellent. I felt they made the buying process very clear, communicated well with me at every stage and they shared their wider knowledge and experience about currency exchange, dealing with utility companies etc.which was very helpful. I would highly recommend them to you, they are very friendly, professional and capable. "Having recently purchased a property from Mantas Real Estate we would like to say how impressed we are with the service we received from the company, from the first viewing through to completion. We were guided through the necessary procedures with exceptional efficiency, which as UK citizens with little knowledge of Greek conveyancing and law was vitally important! All our questions and any concerns were dealt with promptly and courteously which helped to make the experience stress free. We would definitely recommend the team at Mantas to anyone considering purchasing a property in Kefalonia." "Our dream of living in the sun on the beautiful island of kefalonia came true thanks to Vageli and Makis Mantas. We had a small budget and many requirements!! With lots of hard work searching Mantas found us a house that needed renovating, in the mountains with spectacular views just as we had requested. Mantas real estate project managed the renovation from start to finish while we were back in the UK. We were kept up to date and consulted through- out the building works. The project was completed within budget to a very high standard. Their vision, high quality of workmanship and attention to detail have created a home beyond our expectation. "För oss har det varit viktigt med en pålitlig, kunnig och effektiv partner i samband med förvärvet av vår lägenhet. Vår mäklare Mantas real estate agent har visat sig vara allt detta. Dessutom har de varit mycket tillmötesgående och trevliga i alla delar." "We have valued the reliability, proficiency and efficiency the real estate agent Mantas has proved to possess during our relation when buying our appartment. They have in addition been real nice and accommodated us in all." 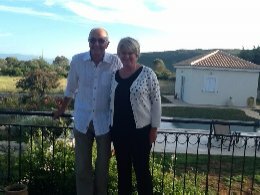 "For many years my wife, Sue, & I had dreamed of living in Kefalonia. 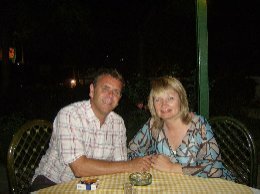 We retired at Christmas 2011 & in March 2012 bought a small bungalow in Ano Katelios through Mantas Real Estate. Vagelis Mantas dealt with all aspects of the purchase, helping with negotiations, dealing with legal issues, making the process easy for us. The bungalow was on a large plot with plenty of room for a separate studio & a pool without spoiling our sea view or taking up all the garden. Vagelis agreed to Project manage the building work for studio/pool/walls/pegola/paths/landscaping ie everything needed. in Spring 2014 the work was completed & the result is amazing. This is the first year that friends & family have stayed in the studio & they have all been very impressed with the quality, the attention to detail & of course the beautiful swimming pool. If you want a one stop shop dealing with every detail then we can certainly recommend Vagelis & we are very grateful for all the work he has done." "Avevamo un sogno.. una casa nella bellissima isola di Cefalonia.. Mantas ha trovato la proprieta' perfetta per noi.. in cima a una collina con una spettacolare vista sul mare e ci ha aiutato organizzando e dirigendo in prima persona i lavori di restauro, fatti in tempi incredibilmente brevi e nel pieno rispetto dei noi desideri e gusti. E, va detto, noi siamo una coppia giovane con grandi sogni e un piccolo budget e Mantas ci ha aiutato anche in questo! Inoltre Mantas non e' solo un bravo ed onesto professionista, ma anche un'ottima persona. Siamo cosi contenti perche' adesso, oltre ad aver casa a Cefalonia, abbiamo anche un ottimo amico li! We had a dream.. a house in the beautiful island of Kefalonia.. Mantas found the perfect property for us, up on a hill with a gorgeous view of the sea and helped us organizing and directing personally all the works for the renovation of the property. All the works have been done in a very short time and in the complete respect of our desires and tastes. And, I have to tell you, we are a young couple with big dream but low budget, and Mantas helped us also in this! Furthermore, Mantas is not only a very good and honest professional, but also a very very good and friendly person. 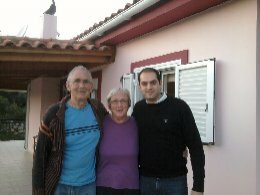 We are so happy because now we have a house in Kefalonia and also a good friend there! "We chose Mantas Real Estate in the first instance because of their well presented appearance on the high street. The property displays were excellent and had a very good appeal. Subsequent meetings with the proprietors portrayed a genuine, helpful and professional approach in what, in our case, was a difficult sales market. They worked tirelessly to get a sale at the best price. an equally fair way to both parties. We are certainly indebted to them for all their hard work and would have no hesitation in recommending their services to anyone." 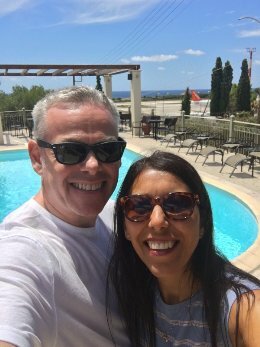 "For the past five or six years, we have had a dream that we would retire to the Greek Islands, the dream was in its very early stages and thought we would look to fulfil this within the next 10 years or so. I was always looking on the internet at Greek properties to get an idea of how much properties were. By chance, prior to last year’s holiday to Kefalonia, I came across Mantas Real estate’s website and saw a property in Farsa. Not knowing where this was in relation to where we were staying (Lassi) we decided we could have a look – nothing ventured – nothing gained. 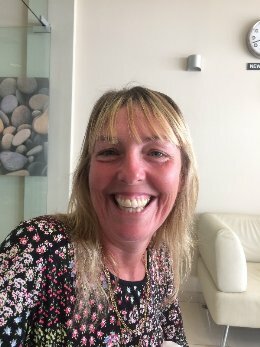 On arriving in Lassi and settling into our holiday, we decided to go to Mantas Real estate’s office in Argostoli and enquire about the property. Makis told us where it was and how to get there. Once we had a look around, we then made an appointment to view inside. Whilst the property was in a bit of a run-down state, we saw the potential that could fulfil our dream. Now the panic set in, do we go for this now, bearing in mind it had only been a pipe dream so far, or wait till a few years down the line. We didn’t even know the Greek conveyancing laws or where we would start. After discussing this over the next couple of days we decided to go for it and buy the property in Farsa. Once the decision was made, Makis and his team set about helping us in every way. They talked us through all the legalities, gave us ideas about the house set up, how we could maximise the space, put us in touch with a solicitor and basically talked us through how each of the processes would work. Unfortunately, our holiday then came to an end and we had to come back to the UK. Once home Makis (Mantas Real Estate) continued to keep in contact with us and update us on what was happening regarding the legalities and when we would be required to come back to Kefalonia to seal the deal. Fast forward 4 months, everything was now ready to be signed. Once in Kefalonia, Makis again met up with us and talked us through everything prior to each stage of the process. Once everything was finalised, he then took us round various shops to help us pick tiles for the kitchen/bathroom etc. Again unfortunately we had to return to the UK but Makis kept things going and arranged for the garden to be cleared, Kitchen/Bathroom to be fitted, rewiring, etc, basically project managing the whole operation. Keeping us up to date at all times. We would just like to say Makis and his brother Vagelis have gone way above the call of duty in helping us process our way through the Greek property system and without them I don’t think our dream would have come true. We cannot thank them enough for all they have done for us and would certainly highly recommend them to anyone who was thinking of buying property in Kefalonia. We could not have done this without them." "After visiting Kefalonia for several years I had a dream to own our own little piece of paradise. On cold winter evenings I would spend hours on Mantas Website looking at the all the land and houses and thinking one day we may buy something ... but it never happened. It wasn't until we had a family tragedy that was life changing that we thought that "You know what ... life is too short, you need to do what you love and do what you love. And if you want it to work, then make it work! With this we came to Kefalonia in the summer of 16 and viewed a property we loved.... but alas, we had been pipped to the post and an offer had been put in. However, Tony from Mantas had a small house that was fresh on the market nearby and insisted we visit. After walking around it for half a hour I had fallen in love with this little bit of Kefalonia and we put an offer in there and then. The process of buying a house in Kefalonia with Mantas was seamless... the only delay was our end with our bank and in a few weeks we were the owner of our little house. Now we can visit whenever we like and are the proud owners of such a pretty little house that means so much to us. 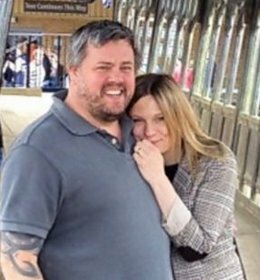 Thank you to all at Mantas for helping us buy Holly House ... we will have many many happy holidays here before we finally settle here in the future."